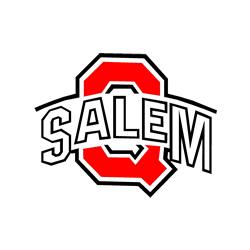 Salem Lady Quakers played at Marlington tonight. Courtney Waters started pitching tonight going first three innings with one walk then Clara Janofa came in to pitch the fourth inning with two strike outs, then Courtney Waters finished the game. Katie Moore started catching then Raegan Meals ended the game catching for Salem. Salem was trying to give Clara a rest plus to change speed on Marlington which worked for first three innings score only 3 to 1. Haley Carner had two singles Raegan Meals had double and walk Cassandra Burke had two singles and Courtney Waters had a double. For Marlington pitching on mound was smith with eight strike outs and one walk powers lead the dukes with a home run and single Robinson 3 doubles. Salem will play home Monday may 11 tournament game at SE field at 430 pm against Raenna .